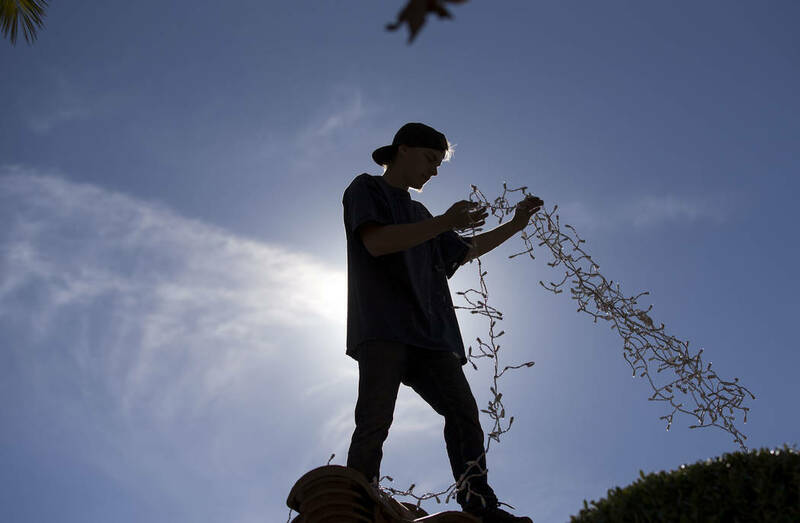 About 14,900 Americans landed in emergency rooms last year after decorating for the holidays, the U.S. Consumer Product Safety Commission reported. Deanna Goble leaves the holiday decorating to the professionals every year. “None of us want to climb up this ladder and go around, for one. Two, we don’t really know how,” said Goble, a long-time Summerlin resident. But when she forgot to ask them to wrap baby palm trees in her front yard with lights, she figured she could do it herself. 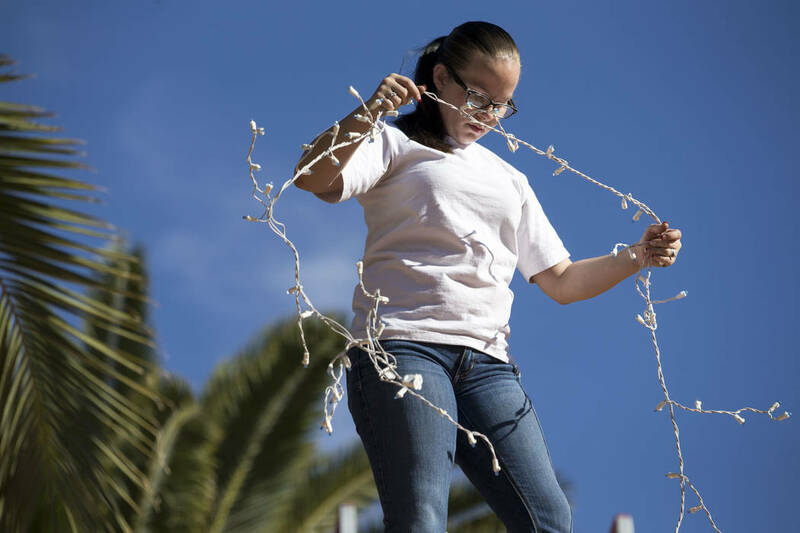 Her injuries were surface level, but about 14,900 Americans landed in emergency rooms last year after decorating for the holidays, the U.S. Consumer Product Safety Commission reported. 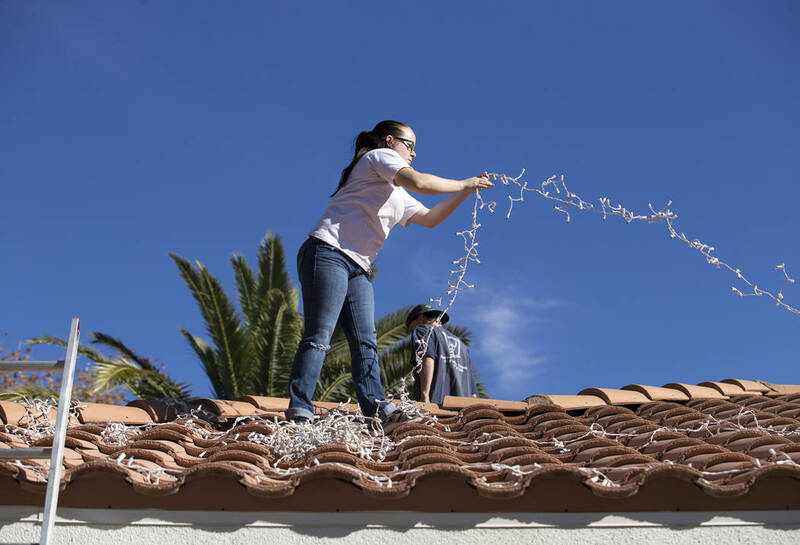 “With people decorating earlier and earlier, and decorating even for Thanksgiving, the entire holiday season is at risk,” said Mark Steinhauer, the medical director for Sunrise Hospital’s rehabilitation unit. 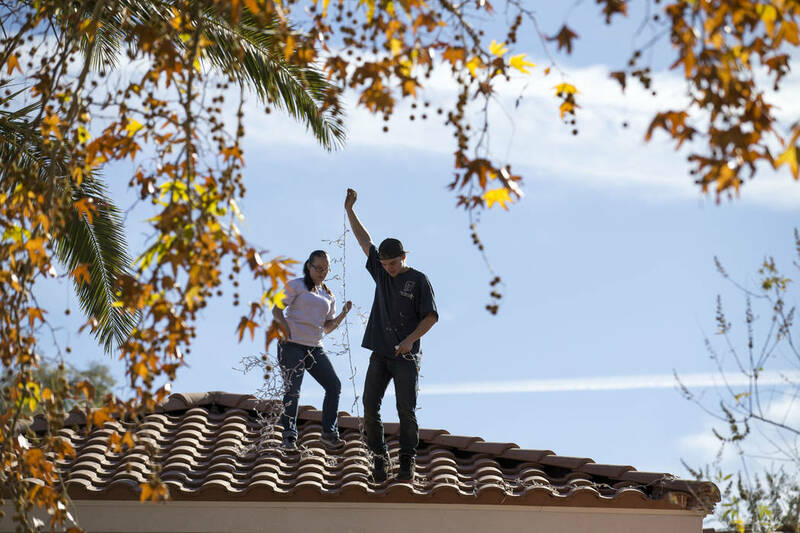 People get up on ladders and lose their footing, climb on the roof and tumble off or trip on hidden power cords. 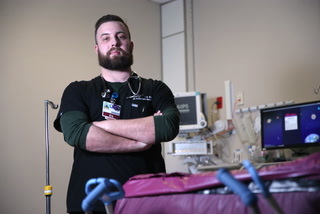 All that can lead to injuries from bruises to broken bones, even concussions and brain bleeds in the worst cases, Steinhauer said. So Steinhauer recommends alternatives, like buying a shorter tree to decorate sans climbing. He’s also a fan of projector lights, which display laser beams across a house to mimic string lights or falling snow. They cost about $40 online or at home improvement stores. For those who want to go all-out, Steinhauer advises considering hiring professionals. Rick Espejo, for example, general manager of Spotless Residential Services. Year-round, the company cleans windows. But in November and December, Espejo said employees work 12- to 14-hour days turning Las Vegas into a winter wonderland. “Over the past 10 years, this has turned into a little more than 40 percent of my annual revenue,” Espejo said. 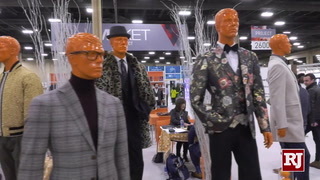 The company decorates about 200 homes for the holidays. Prices range from $350 for a simple display up to $8,500 for a 12,000-square-foot property wrapped in a mile of Christmas lights — including 35 trees. That house takes about 15 hours to decorate. 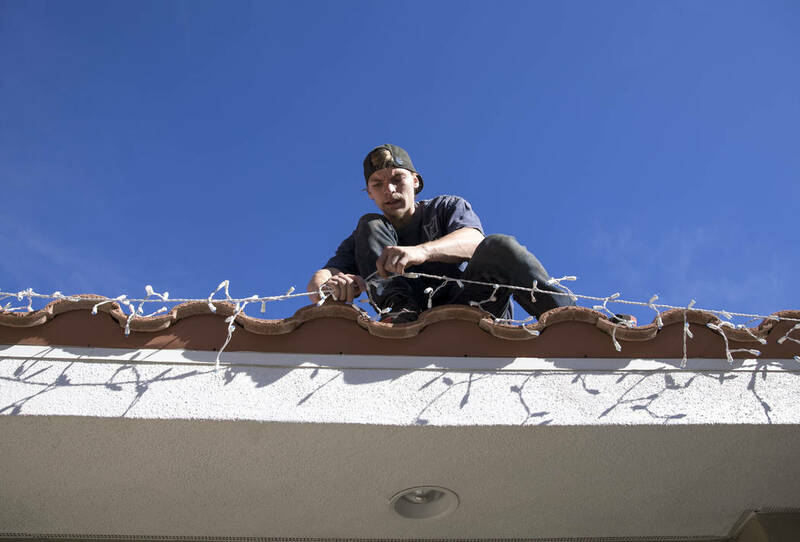 His clientele includes the wealthy, the elderly, and those who just prefer not to climb ladders. 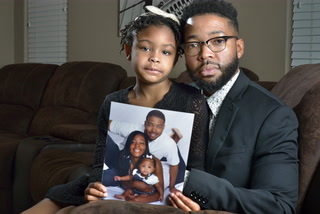 “Anytime you’re afraid of doing something and you try to do it, you’re going to end up messing up or getting hurt,” Espejo said. He’s heard the horror stories. 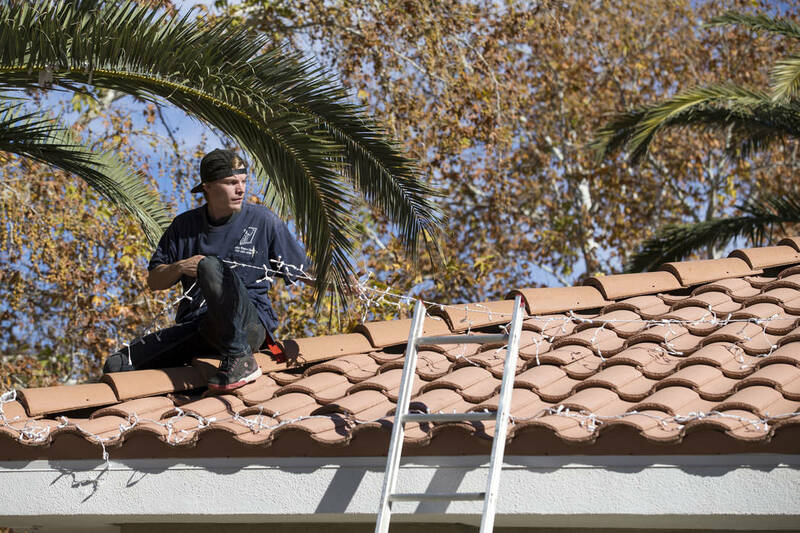 One of his customers watched her husband fall off a ladder while trying to drape a string of lights across the roofline. He fractured his hip. Another customer stretched her body away from the ladder while at the top and fell, suffering a concussion. 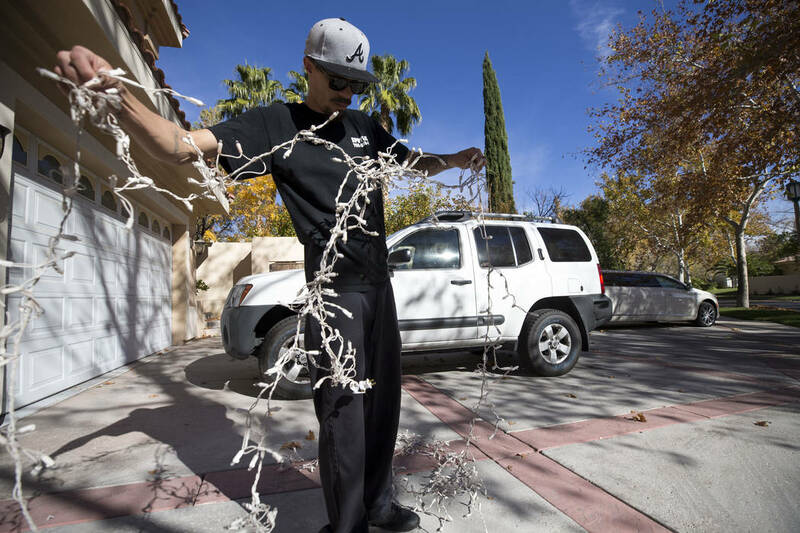 A third customer called Spotless Residential Services after another company’s employees fell putting up holiday decor. To avoid injury — and so far, Espejo’s workers have — he recommends a spotter at the bottom of a ladder for taller homes. 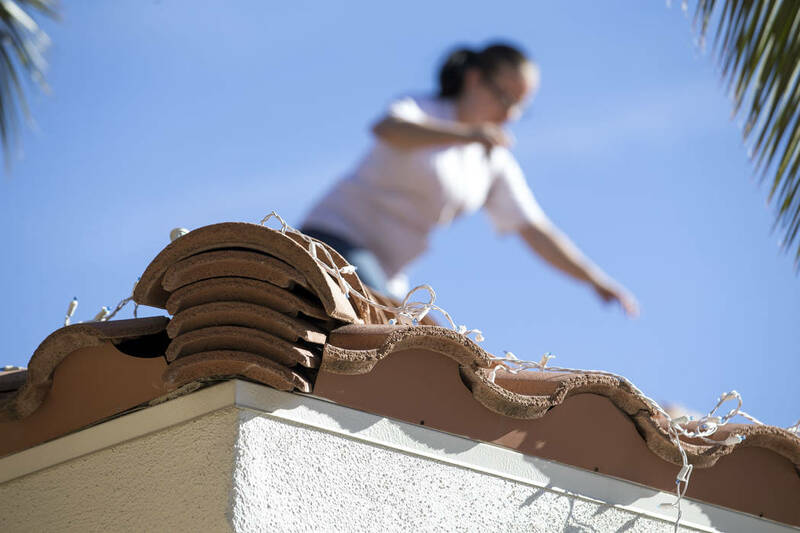 Once on the roof, Espejo says it’s all about footing. “As for the edge, you don’t rush,” he said. Just use common sense, Steinhauer said. As for Las Vegans determined to the job alone, Steinhauer urges older individuals — 60-plus — to leave it to the teen next door. A younger person falling is less likely to have long-term health issues than someone older, with thinner bones. Leave the eggnog for after the decorating is done, he said. And if your bones already ache, “pace yourself,” Steinhauer said.